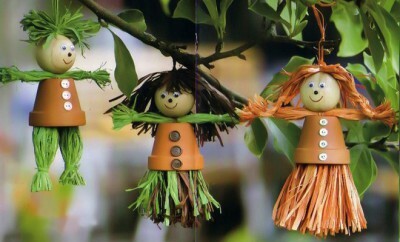 Have a look at these easy clay pot craft ideas! 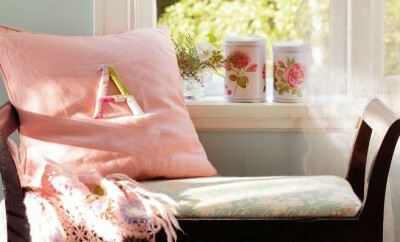 What a wonderful way to make inexpensive things for your home and garden. 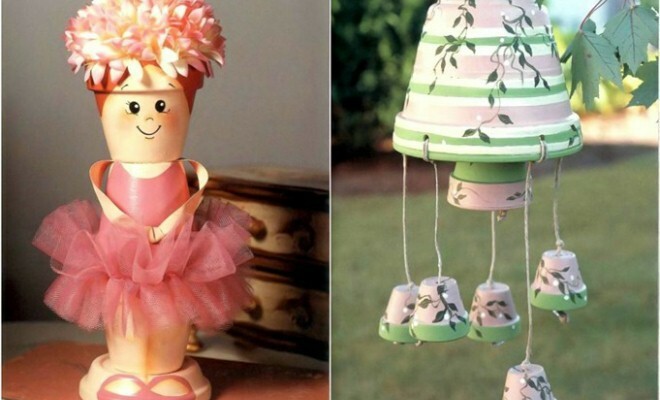 Dolls, candle holders, cake stands, wind chimes, bathroom towel storage and many more. 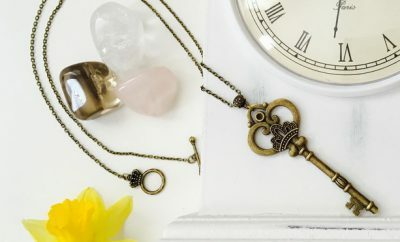 Get inspired for your next craft project! – 3 terracotta clay pot – 6.5 cm. 1. Glue together the two flower pots along the rim. Glue the bottom of the pot to the saucer. 2. Fill the glued pots with polyurethane foam through the drain hole just over half, measure the depth of the cartridge tube. Remember that the foam expands and increases its volume. 3. Tie a knot in the middle of the peach-colored ribbon. Glue the ends of the ribbon between the two pots to look like hands. Secure the third pot on top. Allow to dry. 4. Give the whole doll a coat of peach-colored paint. Allow to dry. 5. By using the flat brush, apply the beige paint to contour the drawings. Trikot and shoes color with pink paint, hair in terracotta. Draw eyes and the facial features. Make white dots in the eyes and blush on the cheeks to give it a happy expression. 6. 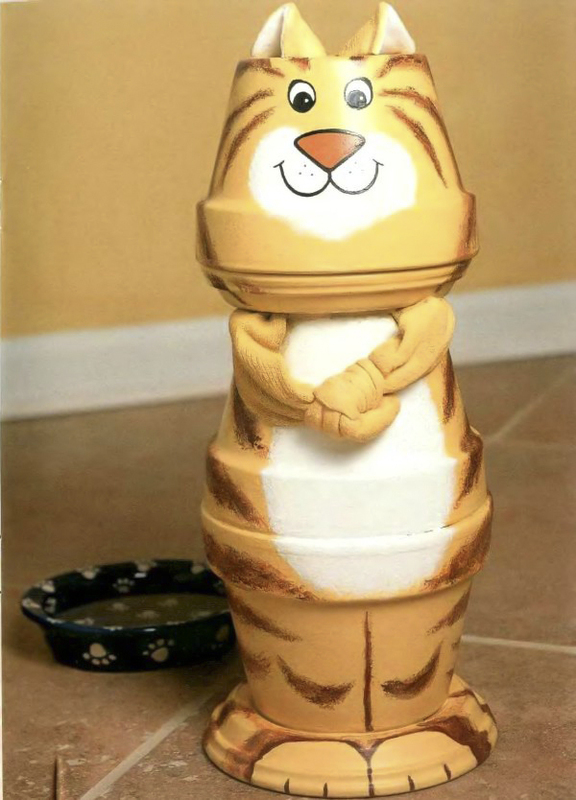 Cover the clay pot doll with clear varnish spray and allow to dry. 7. To make the tutu fold twice the tulle fabric lengthwise in half. Then iron the folds. Sew along the center. 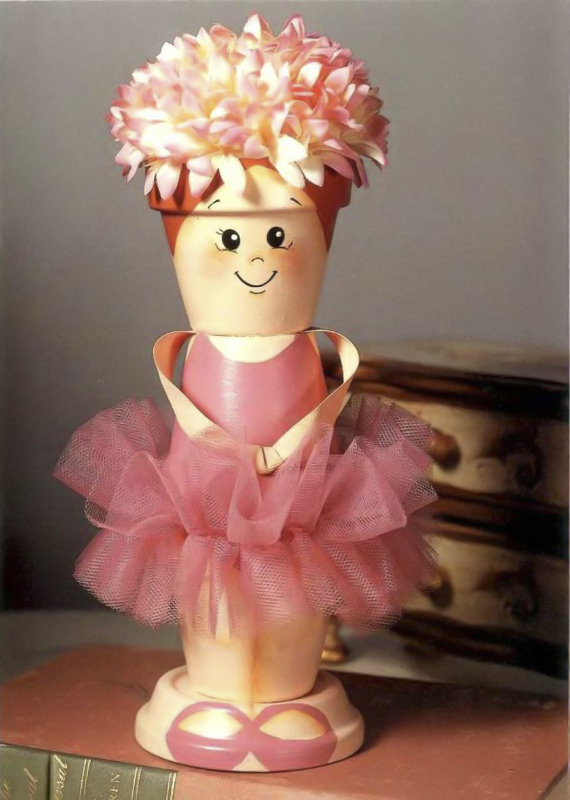 Put the tutu on the ballerina. Gently pull the thread to gather the fabric and make riffles. Cut off the excess. 8. Glue the styrofoam ball in the pot on top. Cut off the petals of the artificial flowers and glue them to the styropor ball. 9. Glue the musical mechanism to the tray at the bottom of the doll. 1. Make 5 marks on the large flower pot rim at equal distance from one another. Drill holes for threading the strings. 2. Paint the largest clay flower pot in white. Using the masking tape make strips of different widths. On the wide stripes apply pink paint, on the narrow ones – lime green and white. 3. 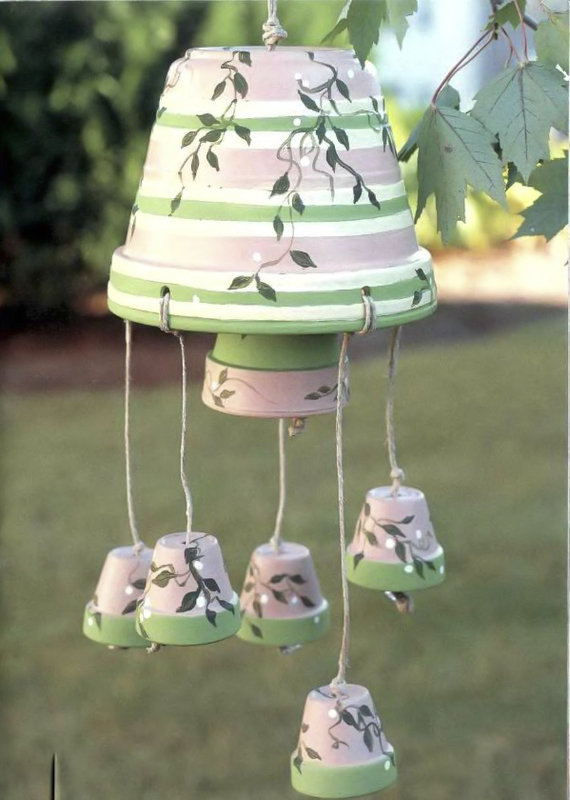 Paint the rims of the five miniature pots light green and the main part – pink. Reverse the colors for the medium-large pot. 4. Use the thin brush and the dark green paint to draw leaves and stems. Allow to dry. 5. Spray all the painted clay pots with the varnish. Allow to dry. 6. Glue the washers on both sides of the drain hole of the large pot. Cut 150 cm hemp rope. Fold it in half and thread it through the hole. Tie a knot at above and beneath the drainage hole, leaving 25.5 cm lose rope. 7. Pass the remaining string through the drain hole of the medium-large pot, make a double knot to support the pot and attach one bead at the end. Tie a knot and cut off the excess rope. 8. Measure and cut five 40 cm pieces of string. Tie them to the large pots by threading them through the drilled holes. Pass the lose ends of the rope through the drainage holes of the small clay pots, secure by making a knot and tie beads at the end of the rope. Cut off the excess rope. 1. Sponge the whole pot with the yellow acrylic paint. Allow to dry. 2. Mark with the pencil about 5 cm wide strips. 3. Paint the stripes by using differerent sized paint brushes. Allow to dry. 4. Cut out several pieces of aluminium foil and line the walls and the bottom of the pot, close the drain hole. 5. 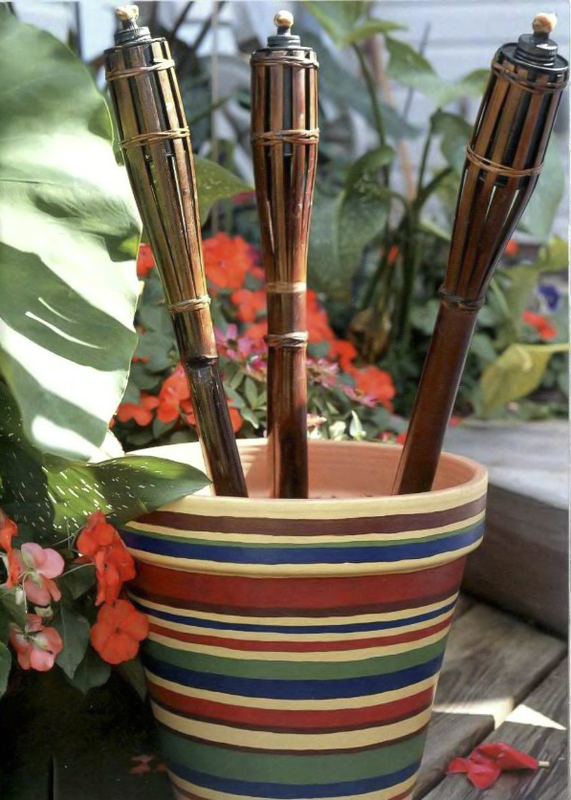 Fill the painted pot with sand or gravel and stick the torches or candles. 1. Turn over the flower pot saucer. Place on it one of the pots and drill hole for the cable in the center of the saucer. The drainage hole of the pot and the drilled hole should be aligned. 2. Glue both 15 cm pots rim to rim, as shown in the photo. 3. Apply the primer. Paint the clay pots in dark brown, saucer – black. 4. Mix three parts of the glazing medium and one of the gold acrylic paint. 5. Apply the ready mix on the pots. Wipe gently with a sponge to erase part of the glaze and thus create a special texture effect. 6. 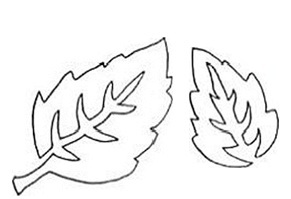 Transfer with the black marker the leaves template on acetate film and cut out the drawings to make a stencil. 7. 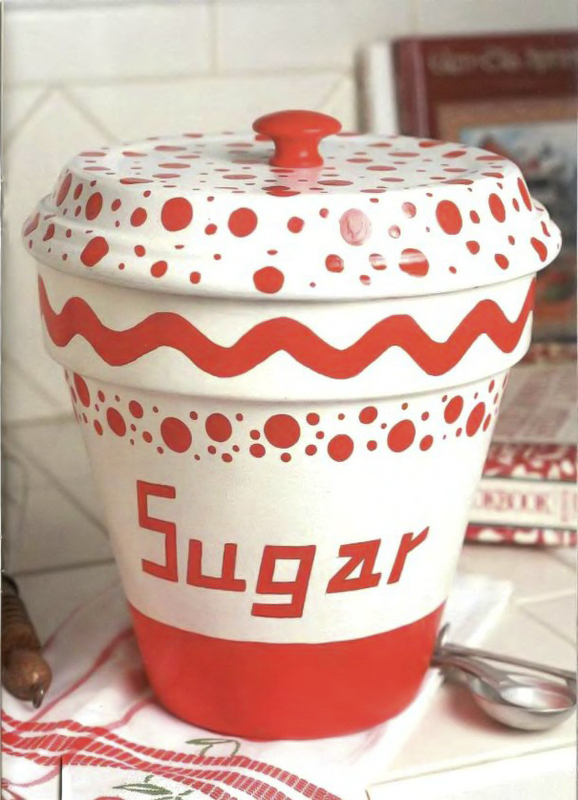 Attach the stencils to the pots, positioning them randomly, and apply golden paint over the stencil openings, distributed with the stencil brush. Apply the golden paint on the pot saucer, as well. Allow to dry. 8. Dampen the cellulose sponge with the glazing mixture and cover. Allow to dry and apply the matt varnish. 9. Assemble the electrical part of the lamp and put on the lampshade. 1. Drill a hole with a diameter of 5 mm in the center of the saucer. Whisk the dust. 2. Paint the saucer and the flower pot with the white spray paint. Allow to dry. 3. Draw a bright red 5 cm wide strip at the bottom of the clay pot. On the rim draw one wavy line. 4. Cut out two circles from the sponge with diameter of 10 and 13 mm and glue to the end of a pencil. Using them, the wine corks, skewers and the red paint make on the lid and under the rim lots of points. Allow to dry. 5. Color the cupboard knob with bright red paint. After drying fasten it with screws and secure on the inside of the saucer. 1. 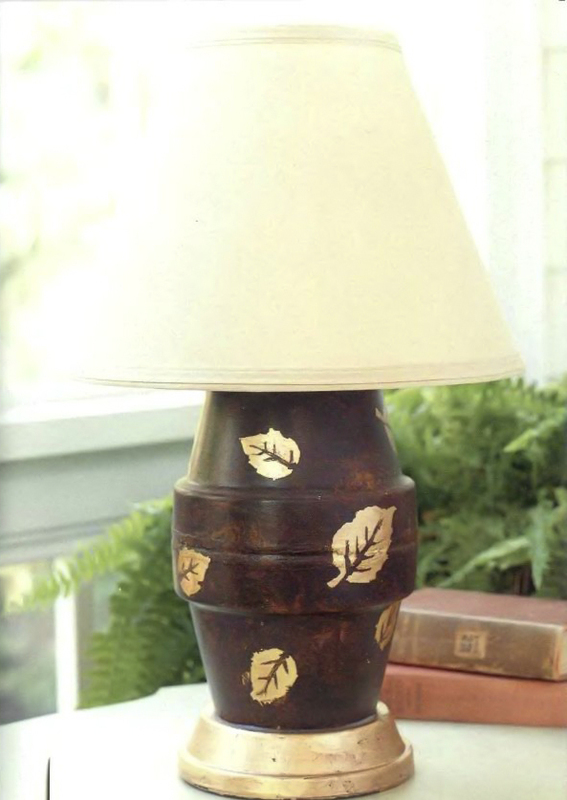 Cut out the embossed leaves and attach them to pot, following the instructions of the wallpaper manufacturer. Use PVA glue to secure any loose ends. Allow to dry. 2. Paint the pot with the yellowish-white acrylic paint. Allow to dry. 3. Rub the entire pot with sandpaper, removing most of the top layer. Whisk the dust. 4. Dampen with a sponge. Apply the antiquing medium on the pot but make a thicker layer on the rim. Allow to dry. 5. Spray the clay pot with matte varnish. Allow to dry. 6. 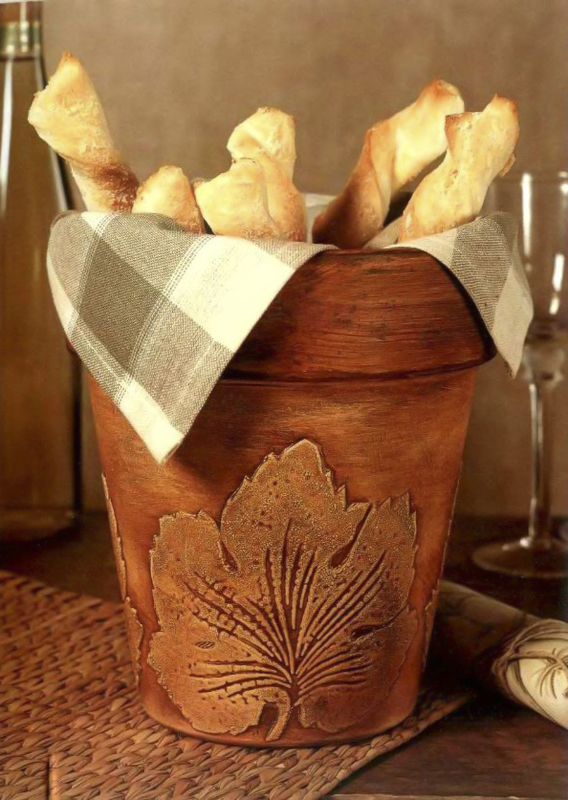 Line your new breadbasket with a linen napkin or kitchen towel. 1. Use the sponge brush to paint the inner surface of the pot and the rim with white paint. The rest of the pot paint in aqua blue. Allow to dry. 2. Mark with the pencil where you want to paint stripes in different widths and colors. 3. After drying, you can write some nice sea-inspired quote with white marker pen. Allow to dry. 4. Glue seashells to the rim. Attach pieces of cobalt glass on the flower pot. Allow to dry. 5. By using a small trowel apply craft grout between the pieces of glass cobalt and distribute it. With a sponge clean the glass with water and shape the grout with your fingers. Wear protective gloves. 6. Remove any excess grout with a paper towel, allow to dry. 7. Remove stains using a polishing pad. 1. 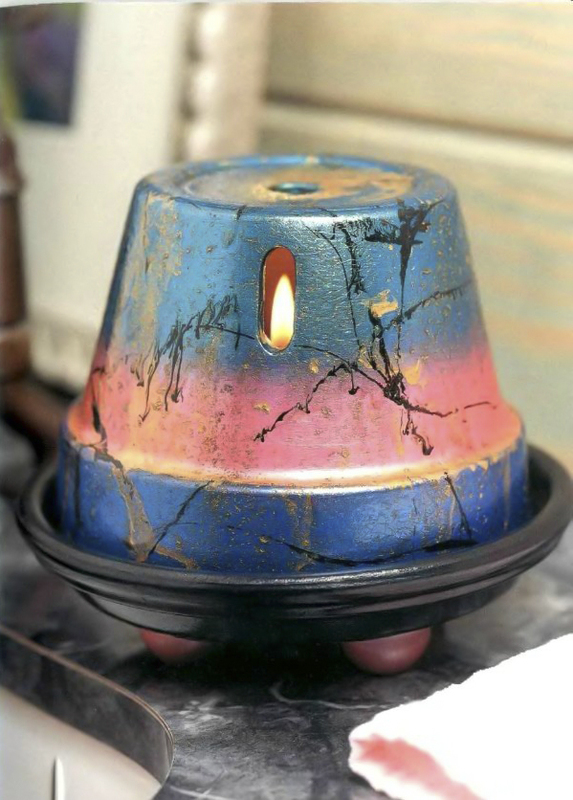 Use sponge brush to paint the inner surface of the pot with golden enamel. Paint the rim blue, in the mittle – pink and closer to the bottom – aqua blue. Use a flat brush to blur the borders between the colors. 2. Place the pot upside down on a high metal cup. Coat the surface of the pot with glazing medium. Without waiting for dry, sprinkle gold paint over the pot with an old toothbrush. Allow to dry. 3. Cover the pot with another layer of the glazing medium. While the glaze is still wet, dip the thread in black paint, place it on the pot, then remove. It will leave a thin line. Repeat several times. Allow to dry. 4. Paint tray with black enamel. Paint the wooden beads in crimson red. Allow to dry and glue them to the saucer. Spray the gloss varnish. Allow to dry. 1. Glue the two pots rim to rim. Turn the 18 cm saucer uspide down and glue it as a base to the bottom of one of the pots. 2. Fill the pots with polyurethane foam through the drainage hole, a little more than half its volume. 3. Cut off from one children’s sock heel and toe. Paint remaining piece with a thin layer of mustard paint. Allow to dry and tie a knot in the middle. 4. Glue the ends of the sock to the upper part of the structure. On top glue the 15 cm saucer. Allow to dry. 5. Use the sponge brush to paint the whole structure with mustard colored paint. Allow to dry. Apply the desired pattern. 6. Dap with a sponge and white paint to make the mouth, cheeks and belly of the cat. Make stripes with terracotta and brown paint. Using a thin brush and black paint draw eyes and mouth. You can make this with marker, as well. Paint the whites of the eyes with white paint. 7. Cut the toe of the sock into two equal parts. On the wrong side glue a piece of white felt. Allow to dry. Cut off the excess felt. Fold each piece in half, then iron and glue to the head. Spray with colorless varnish. Allow to dry. 8. Place the head on the body. Inside you can keep a jar with cat food. 1. Glue together the pot and saucer, bottom to bottom. Allow to dry. 2. By using a flat brush cover the outer surface of the pot and the saucer with paint strokes in a random pattern. Use all colors from the list except gold and brown. 3. Using a flat brush and brown color paint the rims of the pot and the saucer. 4. Draw rectangles with brown paint. 5. Apply gold paint and accent some areas with bright yellow. Allow to dry. 7. 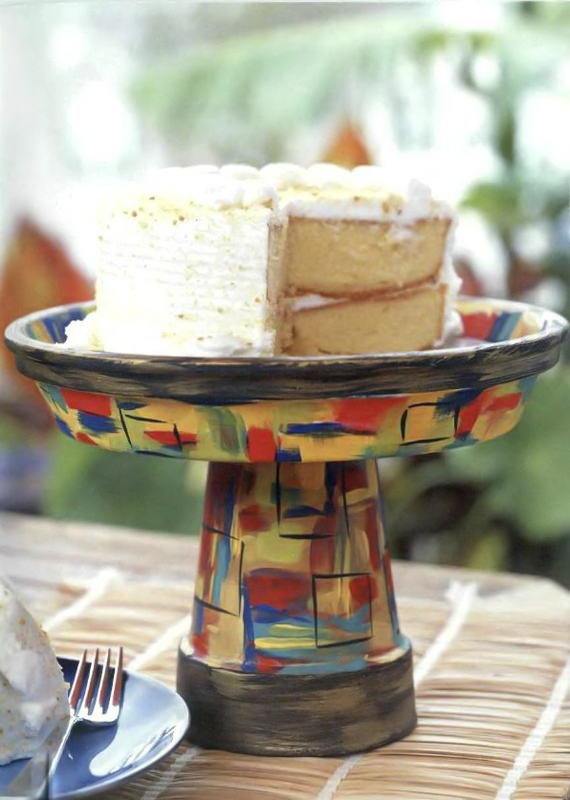 When putting food on the cake stand, remember that it should not come into contact with the painted surfaces.